Sam Bahour sent me the following article this morning that he found in the Christian Science Monitror. The article was written by Jim Abourezk who is a former Democratic senator from South Dakota. It is worth reading…. Branded as ‘educational,’ these trips offer Israeli propagandists an opportunity to expose members of Congress to only their side of the story. SIOUX FALL, S.D. – Democrats in Congress have moved quickly – and commendably – to strengthen ethics rules. But truly groundbreaking reform was prevented, in part, because of the efforts of the pro-Israel lobby to preserve one of its most critical functions: taking members of Congress on free “educational” trips to Israel. 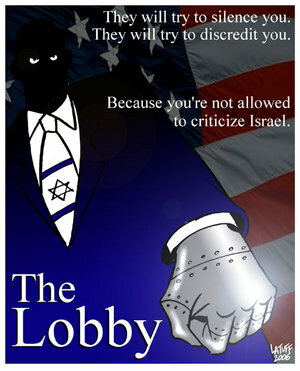 The pro-Israel lobby does most of its work without publicity. But every member of Congress and every would-be candidate for Congress comes to quickly understand a basic lesson. Money needed to run for office can come with great ease from supporters of Israel, provided that the candidate makes certain promises, in writing, to vote favorably on issues considered important to Israel. What drives much of congressional support for Israel is fear – fear that the pro-Israel lobby will either withhold campaign contributions or give money to one’s opponent. These trips are defended as “educational.” In reality, as I know from my many colleagues in the House and Senate who participated in them, they offer Israeli propagandists an opportunity to expose members of Congress to only their side of the story. The Israeli narrative of how the nation was created, and Israeli justifications for its brutal policies omit important truths about the Israeli takeover and occupation of the Palestinian territories. What the pro-Israel lobby reaps for its investment in these tours is congressional support for Israeli desires. For years, Israel has relied on billions of dollars in US taxpayer money. Shutting off this government funding would seriously impair Israel’s harsh occupation. Consider, too, how the Israel lobby twists US foreign policy into a dangerous double standard regarding nuclear issues. The US rattles its sabers at Iran for its nuclear energy ambitions – and alleged pursuit of nuclear arms – while remaining silent about Israel’s nuclear-weapons arsenal. Members of Congress may not be aware just how damaging their automatic support for Israel is to America’s interest. At a minimum, US policies toward Israel have cost it valuable allies in the Middle East and other parts of the Muslim world. Try this for fun with snark-asm. Go though the list of crimes which the U.S. Federal government can prosecute under racketeering laws. Wherever you see the words Al Queda or OBL, substitute the words Zionism and AIPAC and ADL. Most of the really hard to prove crimes are the same one that Israel makes headlines within the papers everyday. Bribery, extortion, strategic lawsuits against public participation (SLAPP), blackmail, winning through intimidation, etc., etc., etc. The Mafia wishes it had that much leverage on that many people in Congress and the White House. Now you can understand why the Lobby is called the Kosher Nostra intead of the Cosa Nostra…. LoL. The Kosher Nostra. Thanks for that. I just hope I get a chance to use it in conversation some time. Been calling them that for years Servant..
Love the “iron fist” of Israel. So telling is that artwork. So telling.